Looking to broaden your performance/building skills? Creventive offers a selection of classes for a wide variety of age groups, ranging from beginners to professionals. Different classes offered from beginner to advanced for children and adults alike. Please contact us for availability/scheduling. Classes are available in person & by request ONLY, requiring our instructor(s) to travel to other facilities. Description: This class begins with the basics of hand puppet building. Participants will learn how to build a finished professional hand puppet - ready for camera. Students will learn how to trace, cut, sew glue and more. Description: Participants will learn the basics of hand puppet manipulation including lip sync and eye focus. Each participant will be given a simple hand/rod puppet to use throughout the class and explore ways to bring a character to life. Participants will break into groups to practice actions, and lip-sync by singing group songs. Description: Participants will learn the basics of puppeteering for television. With the use of hand puppets they will be taught the basics of manipulation in front of a camera, lip-syncing, eye focus, character, and movement using improvisation and song. Participants will be broken into groups to present an original sketch on camera using skills they learned in class. Description: DIY craft for kids. Paper finger puppet workshop. 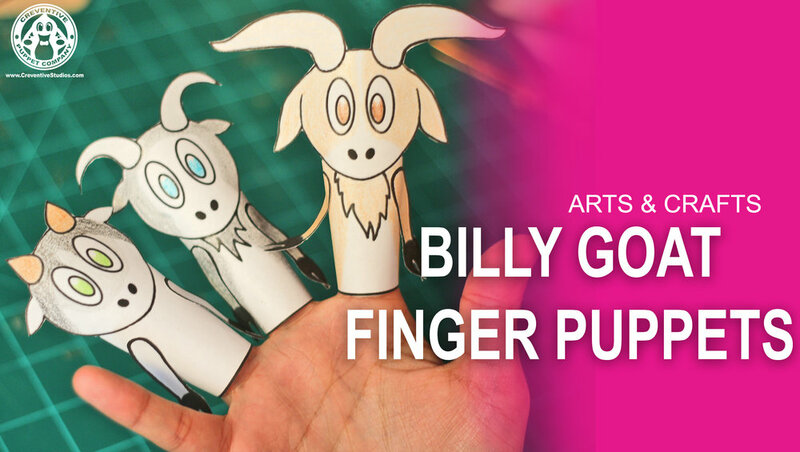 Kids will learn how to color, cut, glue, and manipulate simple paper finger puppets. Inspired by our "Three Billy Goats Gruff" show. Description: DIY craft for kids. Paper rod puppet workshop. 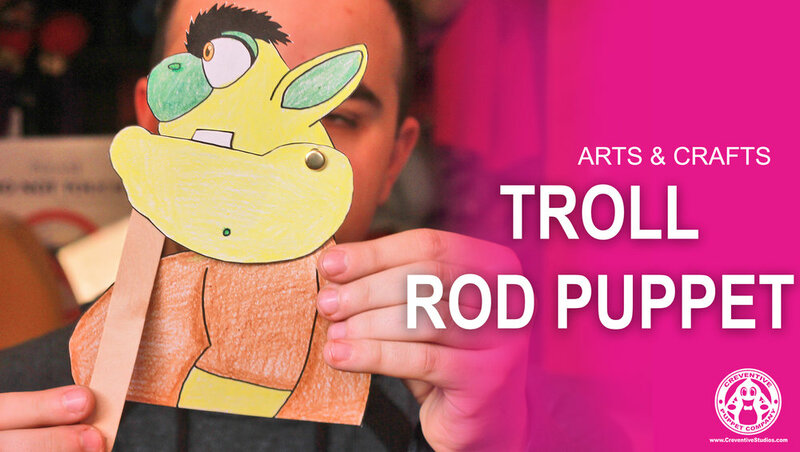 Kids will learn how to color, cut, glue, punch holes, attach a rod and manipulate a simple paper rod puppet. Inspired by our "Three Billy Goats Gruff" show. Description: Participants will learn valuable skills needed to build their very own puppets. They will design and build a full “muppet-style” puppet and will receive instruction on gluing, adding features, building a mouth plate and the basics of manipulation. Description: This workshop teaches the basics of glove puppetry including manipulation and eye focus using a variety of fun prompts and techniques. Description: Participants will design and construct a simple glove puppet and have the opportunity to explore manipulation through movement and character. Description: In this workshop, participants will learn how to build a simple table top puppet using newspaper, tape and string and learn the basics of table top manipulation through dance, puppet “yoga” and performing short scenes. Description: In this workshop, participants will learn the basics of table top manipulation through dance, puppet “yoga” and performing short scenes. Description: This master class/lecture explores and covers all styles of puppetry including: Hand, Glove, Tabletop, Shadow, Mask, and Costume puppetry. Participants will learn the importance and how each style of puppetry is used then be able to get hands-on practice by choosing a style of puppet, and exploring it's movement. Description: In this workshop participants will cut out and construct their own shadow puppet from a printed pattern using plastic snaps and rods attached to moving parts. Creventive Puppet Company is a Chicago based theatre company that creates and performs original, family friendly shows throughout the area. In addition to imaginative storytelling and top-notch entertainment, Creventive Puppet Company also specializes in puppet construction. Offering educational building, manipulation and performance workshops for children, novices and professional puppeteers alike. Creventive sends periodic emails to keep you posted about upcoming events, opportunities, and special offers. Join our mailing list and you won’t miss a thing! Copyright © 2018 Creventive. All rights reserved.